Forum Index > Historical Arms Talk > Can anyone help identify the smith/maker of this sword? 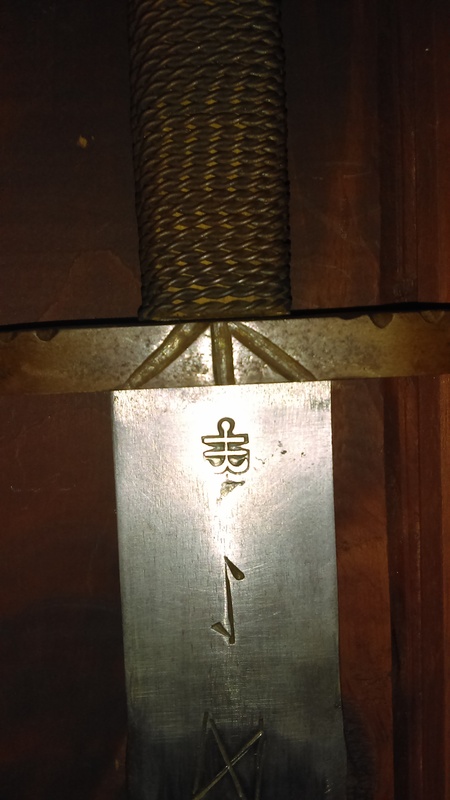 Posted: Mon 09 Oct, 2017 9:06 am Post subject: Can anyone help identify the smith/maker of this sword? It's an older sword that I bought in the early 2000's. It's nothing special as far as I know but I've always kept it as I learned more about swords and started spending more money on them. I just really like it for some reason, but It's been driving me nuts on who made it.